Located in Gran Via, in Madrid city centre, VP Plaza España Design offers 5-star accommodation with parking, a wellness centre, and a seasonal pool. Everything is perfect! The stuffs are really nice, the room is clean and comfortable, great experience! Situated in Madrid, 100 metres from Puerta del Sol, B&B Hotel Madrid Centro Puerta del Sol boasts air-conditioned rooms with free WiFi throughout the property. Oh my God, how wonderful was my stay at the B&B Hotel Puerta del Sol. From B&B Hotel Puerta del Sol to Puerta del Sol just 2 minutes by steap.This is the real center where the life of Madrid is in a full swing.A very cool modern and cozy hotel, it is the highest class but at the same time a very cheap. 24-hour bar with a wonderful coffee, a fresh milk and juices as well as fruits. Whenever you like you can go to the bar, meet new friends, have a cup of coffee within a day or in the night. A very nice staff, boys and girls, all friendly and pleasant to communicate, always happy to help everyone. I was very happy to stay at B & B Hotel Puerta del Sol and would be glad to come back. I love Madrid, I want to be back to Spain again. Room Mate Oscar is a stylish hotel located in central Madrid, between Gran Via and the Chueca district. It offers free Wi-Fi, rooms with flat-screen TVs and a rooftop bar. The staff was very helpful. The food option at breakfast was amazing. Hotel Artiem Madrid is located in Madrid’s commercial centre, a 15-minute drive from Barajas Airport. Free WiFi is provided. Rooms are comfortable and spacious. Very nice hotel a little bit outside of the city center in a quiet residential district of Madrid. Room Mate Laura is a typical 19th-century building in central Madrid, by the Descalzas Reales Monastery and 400 metres from the Plaza Mayor. It offers designer accommodation with free Wi-Fi. The hotel was near the landmarks and the shopping centers. 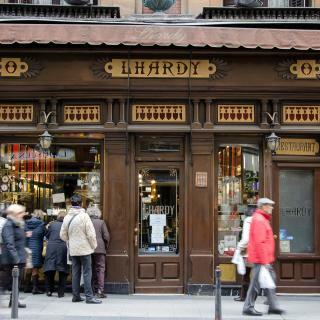 The Hotel Preciados is located in the heart of Madrid, 5 minutes’ walk from the Puerta del Sol. It offers modern services, including free Wi-Fi access and free minibar in rooms. Very comfortable beds,great location for all ... restaurants, metro and many more. 7 Islas Hotel is located 200 metres from Madrid’s Gran Via. It offers free Wi-Fi, and elegant rooms feature a marble bathroom with amenities, air conditioning and some include a terrace. Location is close to eateries. everything is at walking distance. This design hotel is located in central Madrid, just off Ópera Square and 200 metres from the Royal Palace. It offers stylish rooms with avant-garde design, free Wi-Fi and satellite TV. Comfortable, roomy, shower/toilet behind a wall in room. Had a tiny balcony which was nice. Francisco I is located within 250 metres of Madrid’s Plaza Mayor and Puerta del Sol. It offers a 24-hour reception and simple rooms with a private bathroom, TV and free Wi-Fi. Bed was very comfy. Great location. Staff friendly and helpful. Decor very nice. Set in Madrid city centre, Axel Hotel Madrid - Adults Only offers accommodation only 15 minutes’ walk away from Chueca, known by its LGBT atmosphere and welcoming entertainment offer, the hotel is... We got a free upgrade for being loyal customers to the most AMAZING room. Ibis Budget Madrid Calle 30 is located in Madrid and offers functional rooms, free WiFi, a 24-hour front desk and free luggage storage. Puente de Vallecas Metro Station is 230 metres away. Room is very compact, but has everything needed. Featuring free Wi-Fi, Ibis Budget Madrid Centro Las Ventas is located 750 metres from Plaza de las Ventas and its bull ring. This modern hotel offers air-conditioned rooms and a buffet breakfast. The staff was very polite and their English was very good! Set in a beautiful 18th-century building, Catalonia Las Cortes offers air-conditioned rooms and free WiFi. It is located in Madrid City Centre, 10 minutes' walk from El Prado Museum. CLEAN ROOM, HELPFUL STAF, NICE DECOR IN ROOM, EXCELLENT LOCATION. Hotel Círculo Gran Vía, Autograph Collection, a Marriott luxury hotel - Adults only is set in the Gran Vía Casino and features a restaurant and a bar. Chueca is 500 metres away. I liked that the rooms had no carpeting, as that makes them feel much cleaner! Set 1.1 km from Thyssen-Bornemisza Museum, Soho Boutique Congreso is located in the Centro district of Madrid. This 4-star hotel offers a 24-hour front desk. The staff were lovely and couldn’t have been more helpful. The room was clean and quiet. This hotel overlooks Madrid’s Plaza Santa Ana, in the charming Las Letras district. Huge windows allow great views of the square. Chic, air-conditioned rooms feature free Wi-Fi and satellite TV. Great location, clean and super friendly staff. If you’ve got the money, go for a junior suite. On average, 3-star hotels in Madrid cost € 89.86 per night, and 4-star hotels in Madrid are € 108.63 per night. If you're looking for something really special, a 5-star hotel in Madrid can on average be found for € 212.40 per night (based on Booking.com prices). Many families visiting Madrid loved staying at ICON Casona 1900 by Petit Palace, B&B Hotel Madrid Centro Puerta del Sol and Hotel Atlántico. What hotels in Madrid have nice views? Heritage Madrid Hotel, NH Collection Madrid Eurobuilding and Barceló Torre de Madrid have received great reviews from travellers in Madrid regarding the views from their hotel rooms. What hotels in Madrid are good for couples? These hotels in Madrid are highly rated by couples: CoolRooms Atocha, Gran Hotel Inglés and Heritage Madrid Hotel. 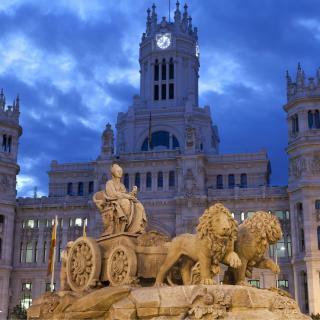 Travellers who stayed in Madrid near Adolfo Suarez Madrid-Barajas Airport (MAD) have said good things about Hotel Barajas Plaza, Hotel Don Luis and Hotel Villa de Barajas. On average, it costs € 85.39 per night to book a 3-star hotel in Madrid for tonight. You'll pay on average around € 123.39 if you choose to stay in a 4-star hotel tonight, while a 5-star hotel in Madrid will cost around € 232.19 (based on Booking.com prices). 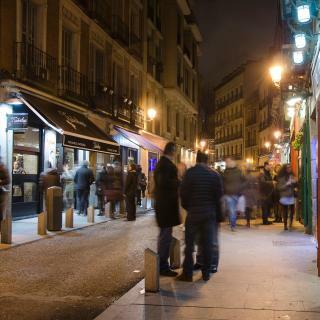 What is the best neighbourhood to stay in Madrid? Centro, Arganzuela and Retiro are popular with other travellers visiting Madrid. What are the best hotels to stay in Madrid? Catalonia Las Cortes, Hotel Artiem Madrid and B&B Hotel Madrid Centro Puerta del Sol are some of the popular hotels in Madrid. The average price per night for a 3-star hotel in Madrid this weekend is € 245.25 or, for a 4-star hotel, € 274.92. Looking for something even fancier? 5-star hotels in Madrid for this weekend cost on average around € 468.86 per night (based on Booking.com prices). 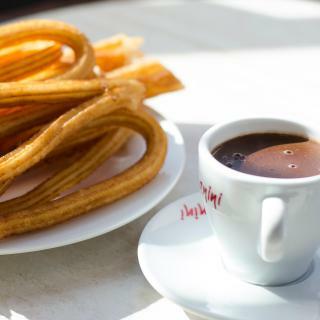 What hotels in Madrid offer an especially good breakfast? For hotels in Madrid that serve up a highly-rated breakfast, try Hotel Artiem Madrid, NH Collection Madrid Eurobuilding and Barceló Torre de Madrid. Modern Madrid is one of the greenest cities in Europe and the most popular destination in Spain. Whether you want to experience its legendary nightlife or a flamenco show, this is the place to be. The renowned Museo del Prado holds one of the world’s finest art collections with iconic paintings by El Greco, Velázquez and Goya. 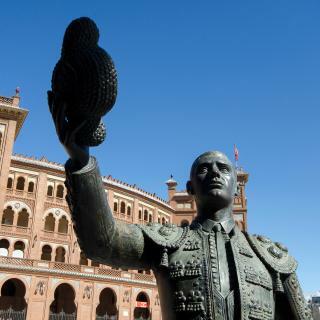 For more modern touch, the Museo Reina Sofia houses Picasso’s and Dali’s most respected works. Thanks to great public transportation system, getting to the city centre from Madrid Barajas International Airport is very easy. Whether you’re looking for luxury hotels, budget hostels or comfy apartments, Booking.com has a perfect place for your Madrid holiday. I will review Hotel Regina where we stayed in madrid. I will review Hotel Regina where we stayed in madrid. I loved this hotel! 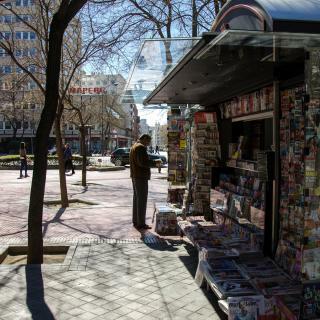 It was reasonably priced and in such a great central location in Madrid city! I trust my family's advice and every time they have stayed in Madrid they have stayed at this lovely hotel - something of a family tradition at this stage! Especially enjoying the delicious breakfast together! The staff at the front desk are young and chatty and friendly, really lovely. The foyer is glamorous and luxury in appearance - I loved the decor and furniture! Some negatives however: Our room was not great as the window opened up onto a courtyard so the room was very dim - almost as if there was no window at all. But the bed was comfy and huge! If I'd been staying longer I would have asked to change rooms as our room was so dimly lit due to the window position. There was no kettle or tea provided in the room. The room was too hot (even though it was January) as we couldn't work out how to lower the heating or put on the AC! Maybe this was our mistake and we should have asked the front desk how to control this. At night the room was extremely noisy - noise carries throughout the hotel, perhaps due to very thin walls. We could hear the conversations of fellow guests returning from partying in the early hours of the morning!!!! Madrid is really easy to get around on foot. Madrid is really easy to get around on foot. Everything is in walking distance. It's worth a visit to Retiro park on a sunny day to hire a boat on the lake. There are a few cafés to get food and ice creams. The palace is also worth a visit. Mercado de San Miguel is a must. Great atmosphere with plenty of tapas to choose from and drinks a plenty. It does get extremely busy though so be prepared to stand up as getting a seat is a bit tricky. A visit to Mercado San Anton is worth it for a cocktail on the rooftop bar. Hotel Room Mate Oscar is a great place to stay. Very central, modern and friendly with a great roof top bar. Great city. Use the tour bus to get a good overview. We used the non hop-on-off at 12 Euros. Hop on off was 27 euros. Had a great meal at Ginger - unusual mix of dishes with Chinese influence. Massively popular but we were lucky to only wait 5 mins. Great Rose Gran wine at only 7 euros. fantastic breakfast place La Rolleria on Calle Mayor. Very popular, good quality and good value. 2.7 euros for tradicional Toast/Jam, and drink. One restaurant recommendation was El Caldero - near the hotel. Very poor! Unsmiling staff, poor food (Anitpasti meats worst ever had) - Stay away! Taxis to/ from airport are a fixed rate of 30 Euros to anywhere in the centre - dead easy and better than faffing about on the metro. Went to the Real/ Athletico game. Hotel organised great tickets. Pricey but an experience. Best to choose a low demand game which will be cheaper. El personal amable, atento y resolutivo.